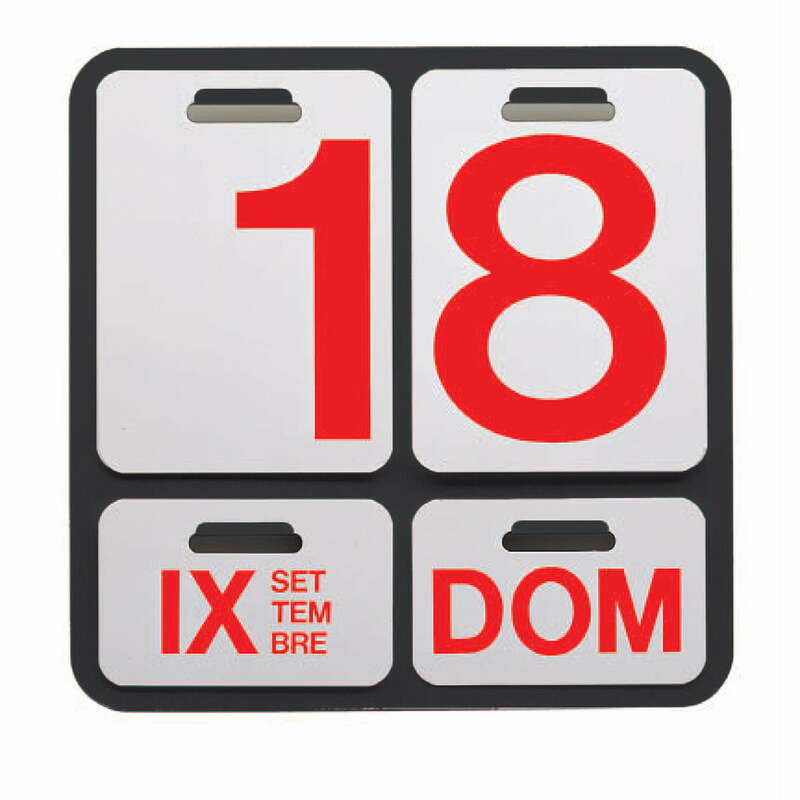 The Danese Formosa wall calendar is a real classic and was designed by Enzo Mari in 1963. It is a perpetual calendar and thanks to its timeless look is still up to date in the 3. millennium. 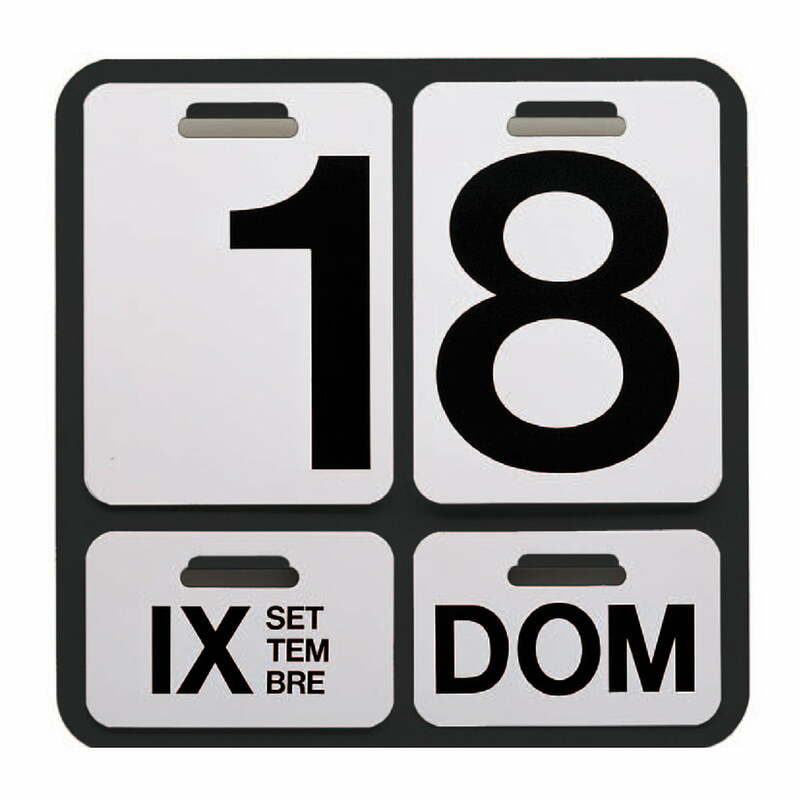 This wall calendar is available in several languages. It is made of anodised aluminium with lithographs on PVC-sheets. The base plate of the Danes Milano Formosa Wall Calendar comes either in black or in the colour of aluminium, with red or black writing.